I’m having this bowl of oatmeal this morning. It satisfies my oatmeal cravings for days now. It’s my comfort food and I can have it at anytime of the day. I’m in a good mood to do just anything today and feel like I’m ready to play a 5 string banjo strings. Just kidding. I have my hands full today and there’s no more room to squeeze in play time. Maybe I could find time for music during my coffee break. 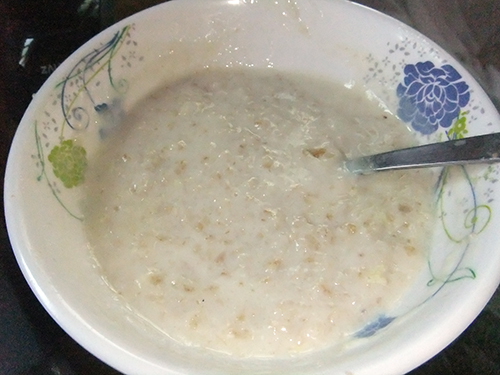 This entry was posted in Comfort Food and tagged comfort food, oatmeal, oatmeal for breakfast on May 13, 2015 by Yami.